The Circulation Desk is located on the first floor to the right as you walk in the front doors. All library items are checked out and in at the circulation desk. Renewals may be made at the circulation desk in person or by phone. Interlibrary loans may be requested, books on hold picked up, and any book donations may be left at the circulation desk. Residents of Hamilton and Wenham may obtain a library card by presenting photo identification showing name and local address. If your drivers license or other photo identification does not include current local address, please also bring a supporting document such as a utility bill, lease/rental agreement, or car registration. Children under 13 should be accompanied by a parent or legal guardian to apply for a card. There is no waiting period for a library card. Residents of the towns served by the Merrimack Valley Library Consortium (MVLC) must obtain a card from their hometown library. Students of Gordon College can use their ID card number after it is placed in the library system. Summer residents need local proof of address in Hamilton or Wenham. Residents of Massachusetts who bring cards from Massachusetts libraries outside of MVLC can register their cards in our system, so long as they provide current ID and proof of address. You may print and fill out a library card application and bring it with you the next time you visit the library. Call 978-468-5577 if you have any questions. Patrons must have library card or license with them in order to check out any library material. Patrons are welcome to take out an unlimited number of circulating books and magazines (except for the most recent magazines). There is a total limit of 99 items per patron. Generally, patrons may renew material belonging to the Hamilton-Wenham Public Library by phone, via the online catalog, or in person for an additional three weeks if there are no outstanding requests on the material and the renewal limit has not been exceeded. Access My Account with your Library Card Number and PIN Number to request items, check their hold status, check due dates, and renew items. Your PIN Number is typically the last four digits of your phone number, but you have the ability to change it to a PIN or password of your choosing. The Online Library Catalog can be used to search the holdings of the library and to request or reserve books. You can access the library catalog 24/7 from any internet access point, whether in the library or at home. Please call 978-468-5577 if you need help using the library catalog. The Commonwealth Catalog broadens your search beyond your local library’s resources. In one easy step, you can search through millions of items at participating Massachusetts libraries. Make a request and it will be delivered right to your local library for quick pick up. For items that aren’t in either the MVLC or Commonwealth Catalog, or for requests that were unable to be filled, our Interlibrary Loan department can request items on your behalf. Museum passes can be reserved online, in person, by phone at the Reference Desk. They may be reserved two weeks in advance. Only one pass per day per patron. Patrons are welcome to reserve library materials in person, by phone, or by using our online catalog. When the item requested comes in, you will be notified either by phone or email. Our library has two book drops in the wall to the right of the main library entrance. These drops are marked as Book Depository and Other. Items can be returned outside of library hours, except for Library of Things items. You will be told how to return these items when you check them out. 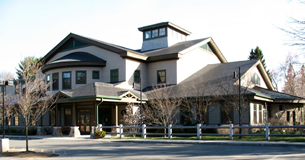 The Hamilton-Wenham Public Library does not charge fines for late items, with the exception of museum passes, which are highly time-sensitive items. Late museum passes accrue a charge of $10.00. The charge for a lost pass is $25.00. The charge for other lost items varies, depending on the item. Report lost cards immediately! Patrons are responsible for all materials taken out on their cards up until the card is reported lost. There is a $1.00 fee for replacement of a lost card. Click here for more staff contact information.